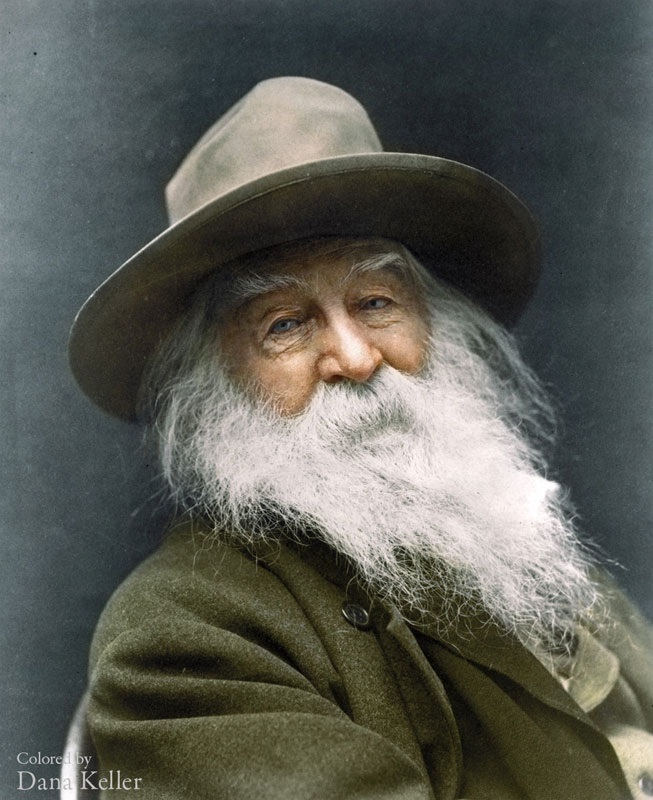 Modern history speaks in color – by the painstaking efforts of numerous artists like Jordan Lloyd, Dana Keller, Sanna Dullaway and others. 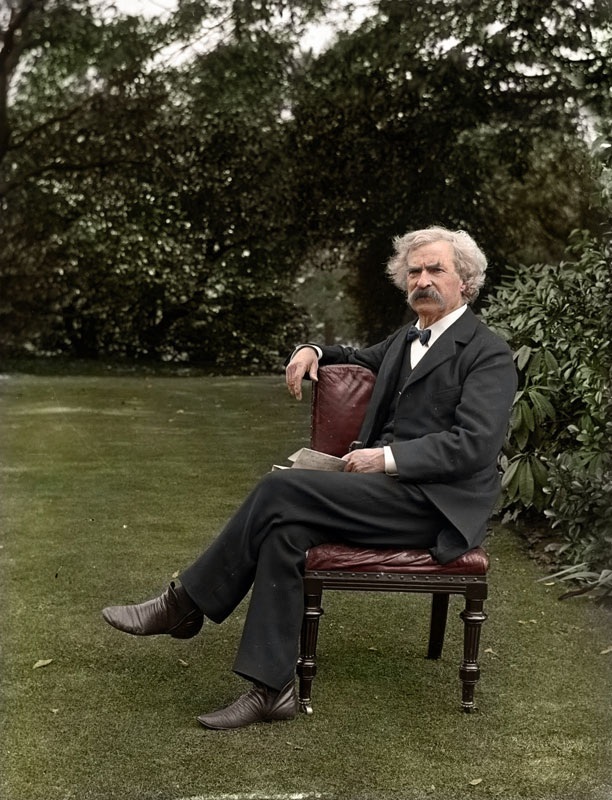 Most of these fascinating photographs are from the era of late 19th century to the early half of the 20th century. 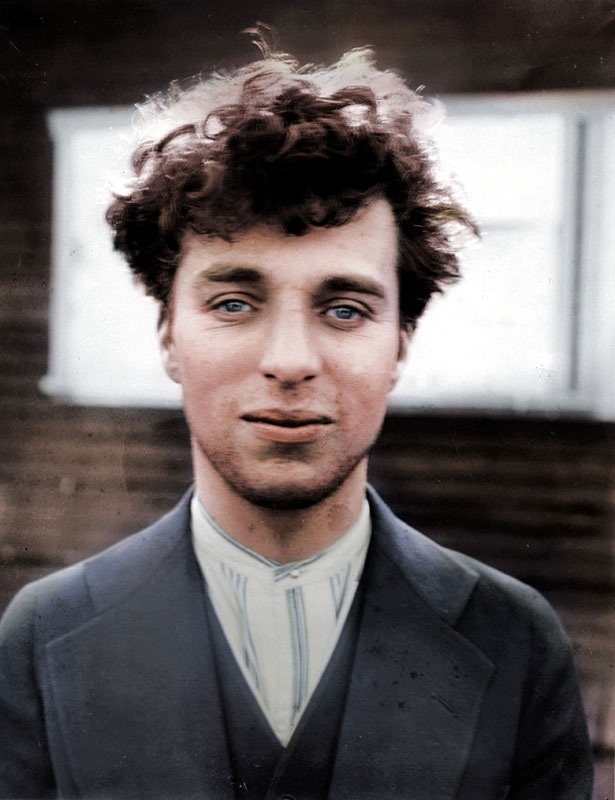 So, if you are up for that fantastical trip down the history lane, be sure to check out the incredible colorized specimens – be it the great Albert Einstein loosening up by the sea, or the indomitable Theodore Roosevelt snuggling his infant, or the ever vivacious Audrey Hepburn striking a pose with panache by the oven. 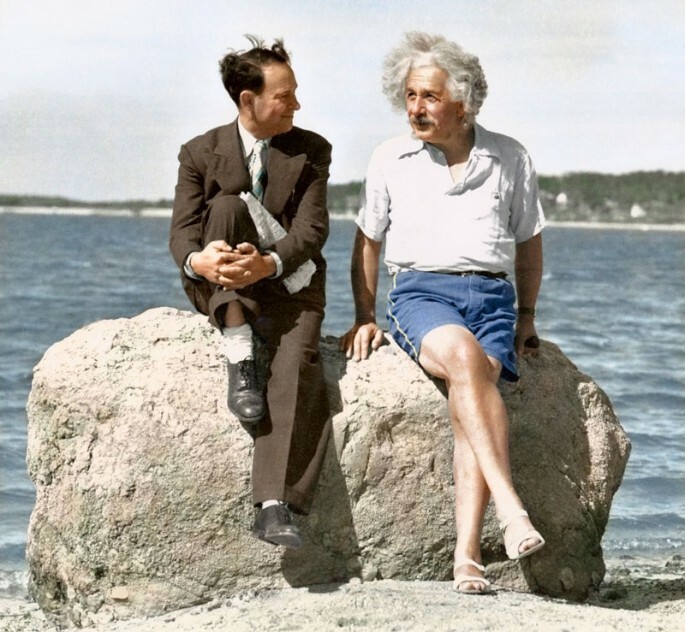 Albert Einstein photographed at Long Island, 1939 (Credit – Paul Edwards). 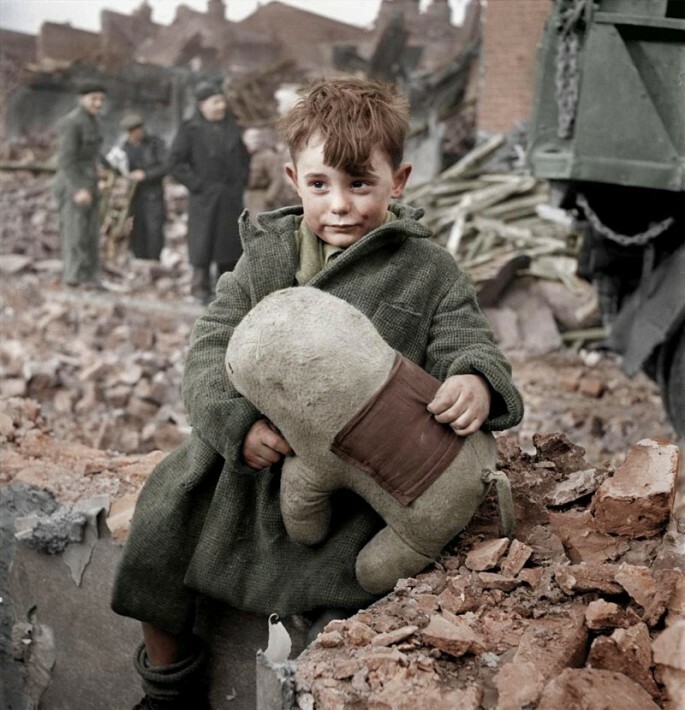 London during Second World War, circa 1945 (Credit – valdigtmycketfarg). 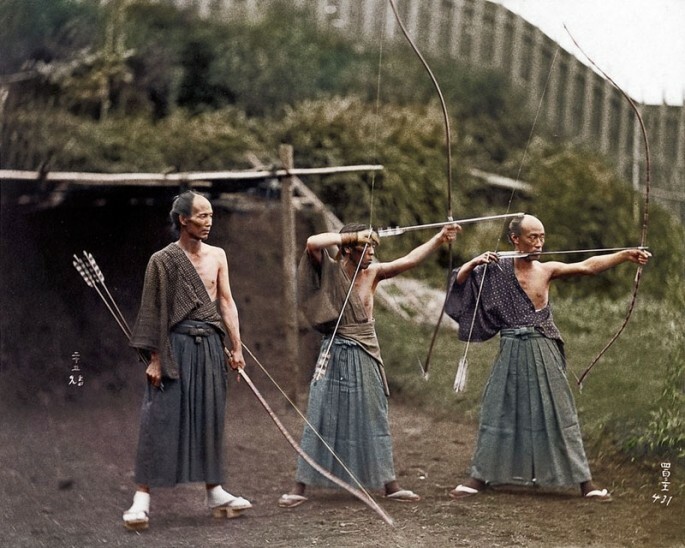 Japanese Archers practicing their ‘art of war’, circa 1860 (Colorized by Jordan J Lloyd). 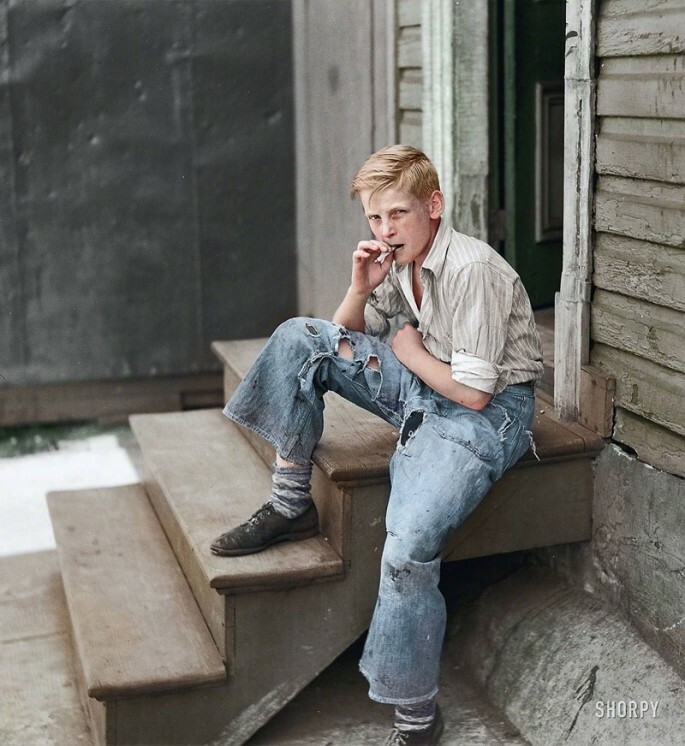 A young teenager at the Baltimore Slums, 1938 (Colorized by Jordan J Lloyd). 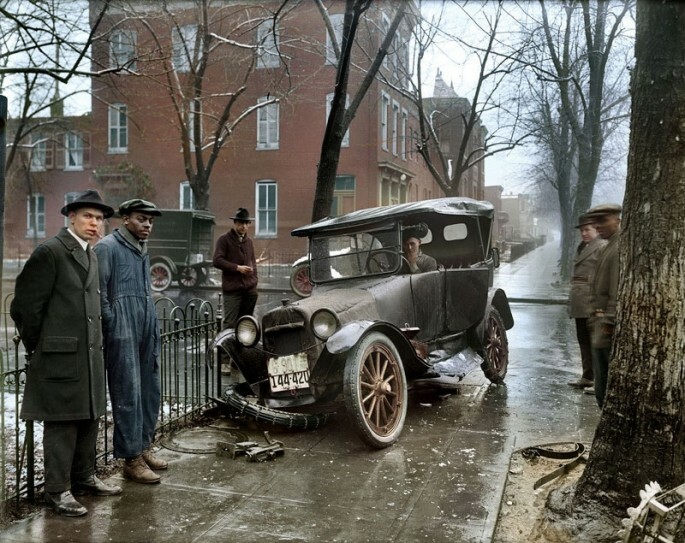 A car crash in Washington D. C., 1921 (Credit – Sanna Dullaway). 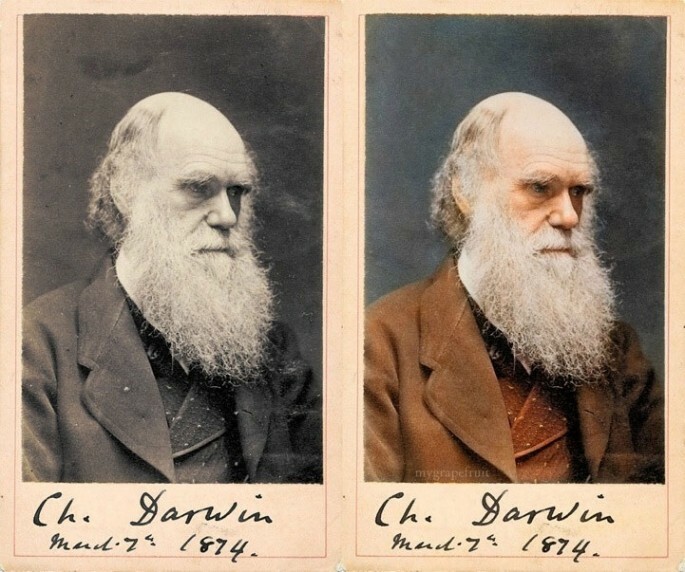 Charles Darwin in his ever serious mood, 1874 (Credit – Sanna Dullaway). 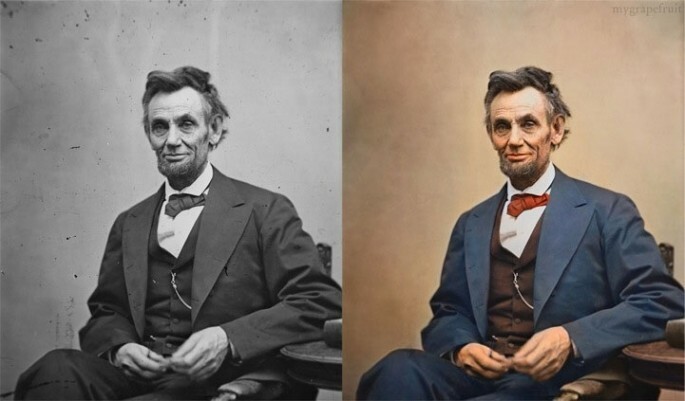 The ‘Great Emancipator’ Abraham Lincoln in his amicable spirit, 1865 (Credit – Sanna Dullaway). 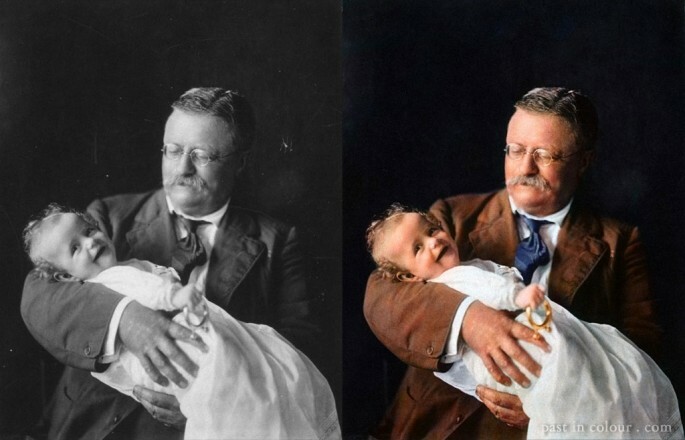 Theodore Roosevelt snuggling his infant, circa early 20th century (Credit – Sanna Dullaway). 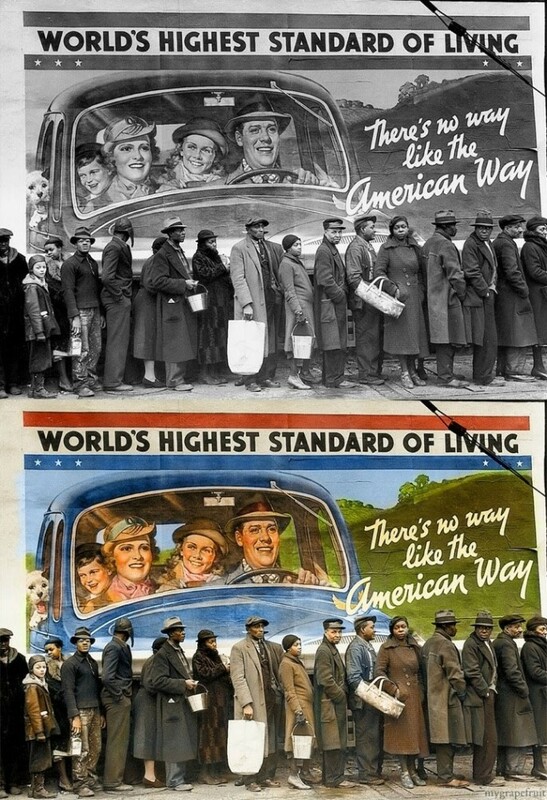 An ironic shot in Louisville, Kentucky, 1937 (Credit – Sanna Dullaway). 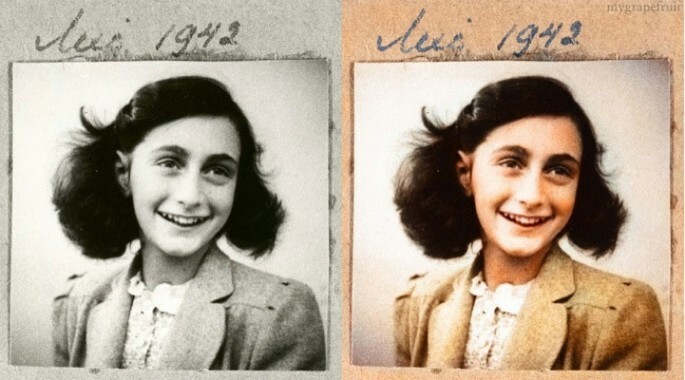 The immortalized ‘dairy keeper’ Anne Frank, 1942 (Credit – Sanna Dullaway). 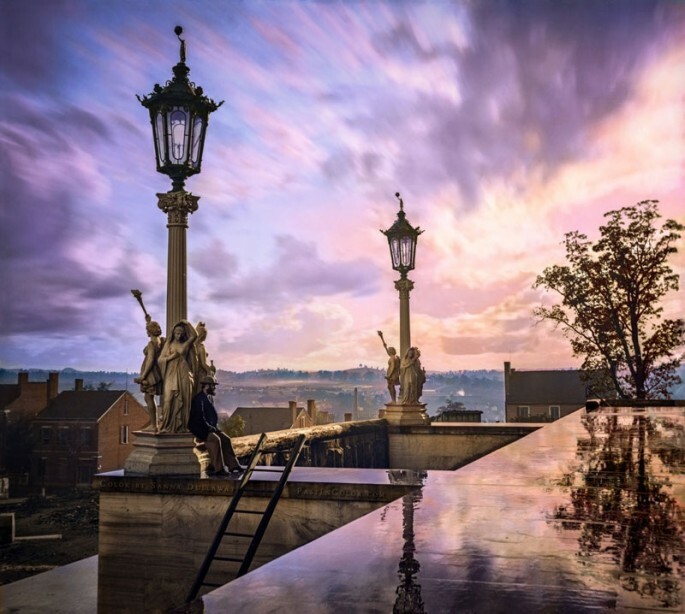 A fantastical sight from the Capitol in Nashville, 1864 (Credit – Sanna Dullaway). 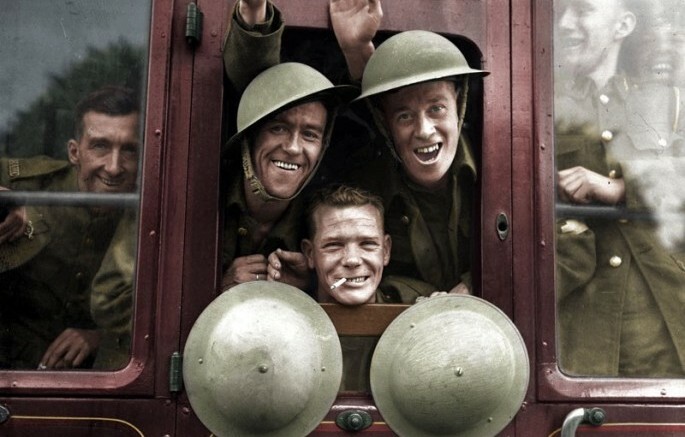 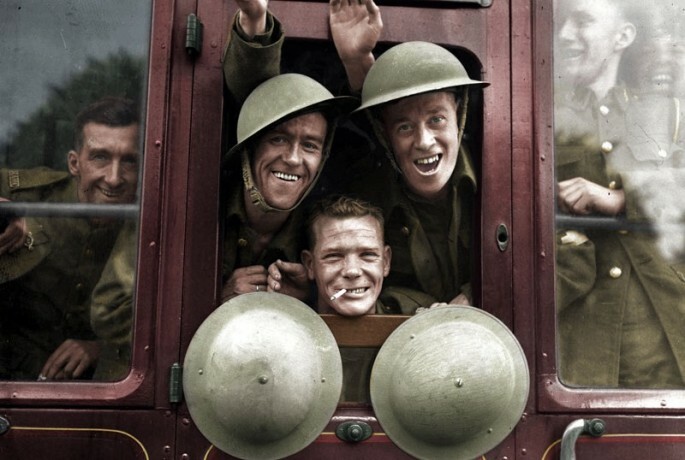 The jaunty British Troops on their way to the war front, 1939. 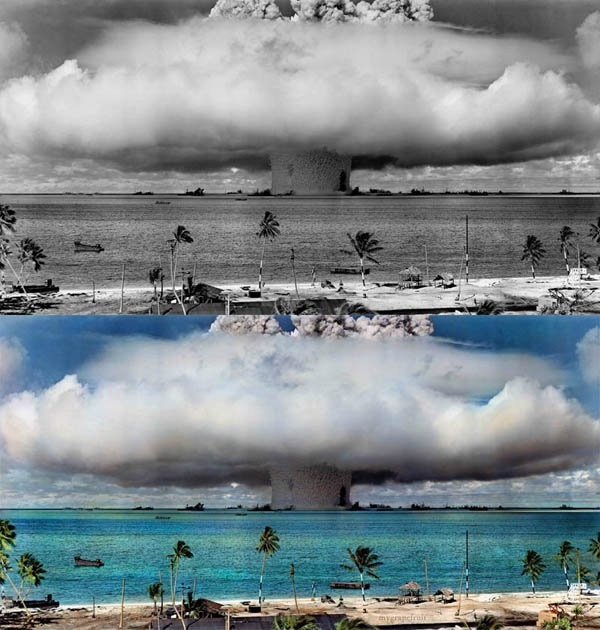 Operation Crossroads Atomic Detonation – destruction in paradise (Credit – Sanna Dullaway). 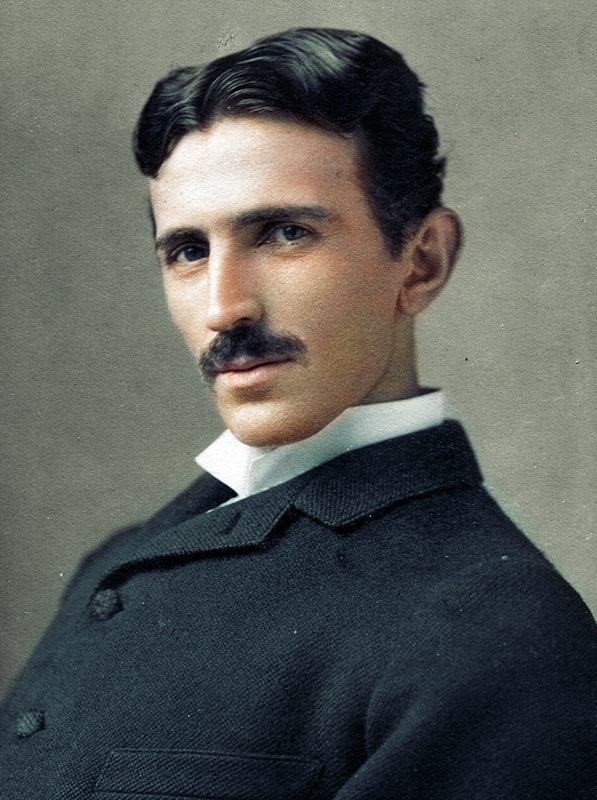 You can check out more wonderful colorized historical photo specimens from here.